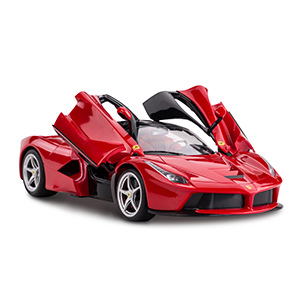 Officially licensed by Ferrari & Highly detailed interior/exterior – 1:14 scale toy car measures 13.3″ x 5.9″ x 3.3″; Features with butterfly doors (open by manual), working headlights / taillights, built-in spring suspension system, differential mechanism, rims and rubber tires, stereo equipment, steering wheel, leather seats and etc. Full functions – Forward, Reverse, Stop, Turn Left & Right; it works best on the flat surface (in dry weather) and can be used indoors and outdoors. Excellent performance – Remote range up to 98 feet, Speed 5.1 mph, Frequency available in optional 27 MHz or 40 MHz; Made of top-grade ABS plastic to prevent scratch and protect kids. Batteries NOT included – Requires 5 x AA for the car and 1 x 9V for the remote controller; Package includes 1 x Rastar rc car,1 x dual-grip remote-controller and 1 x user guide. Factory assembled, Ready to run, Easy to play; Manufactured by Rastar Group, 100% Quality Guarantee. Established in 2000, Rastar Group was formed as a manufacturer of plastic products, which specializes in the research, development and production of licensed remote control car, die-cast car series, licensed electric ride-on car, walking suitcase, kids’ bicycle, etc. 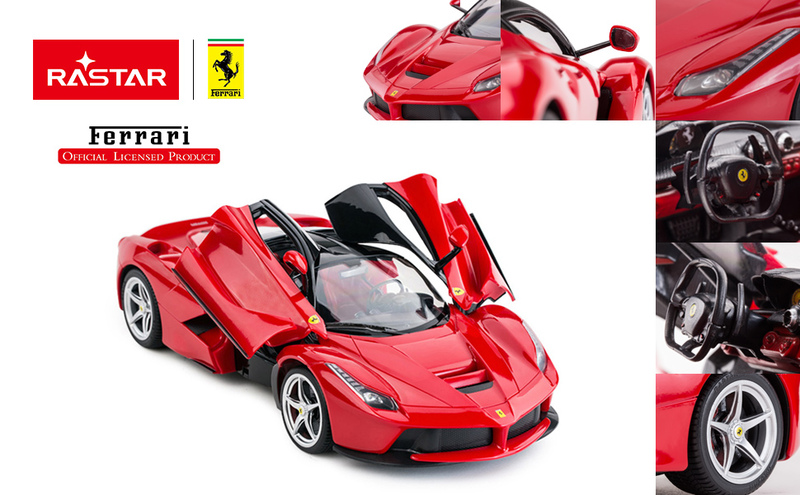 Get ready to drive your dream with Rastar 1:14 Scale Ferrari LaFerrari Electronic RC Car! 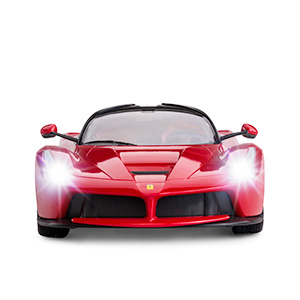 This 1/14 scale La Ferrari remote control model car is officially licensed by Ferrari S.p.A. and scaled according to the original data of real LaFerrari. Features with highly detailed interior and exterior, Rastar RC car can be driven like a pro! 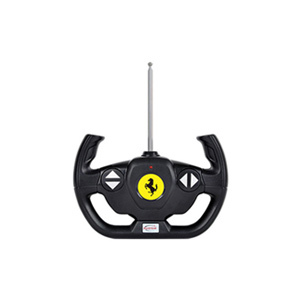 Race around your neighborhood in style with our 1/14 scale LaFerrari radio remote control replica! 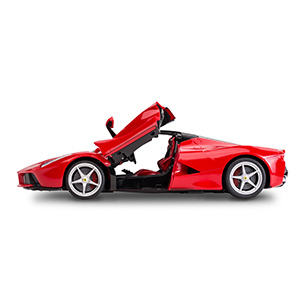 Launched as a successor to the Ferrari Enzo, the new LaFerrari is one of the most amazing supercars we have seen lately. It brings innovative features, like its HY-KERS system and a design language that is the perfect combination of form and function. It features with built-in spring suspension system in front and rear wheels, imitates the driving effect of real car to reduce collision damages caused by internal electronic equipment and gives the car a smooth ride and longer life. Remote controlled car without differential mechanism cannot achieve perfect drifting action when it runs at high speed. 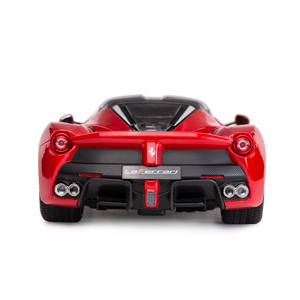 While this Rastar 1/14 LaFerrari RC car uses it to support steering, achieve balance, make no rollover and keep stable. When it turns the corner and drifts, the trajectory works as a perfect arc. The rc car performs as excellent as the real one! High detailed interior and exterior, like stereo equipment, steering wheel, seat leather, etc. Q: Do doors open automatically or manually? A: Doors open by manual. Q: Can you have the doors opened and drive? A: Yes, the doors can be open and will stay up as you drive. Q: Does it work on carpet? A: Yes, it does, but not as fast and smooth as on a wooden flat floor. A: We would say 5-8 mph.It’s as fast as normal rc cars. Q: What’s the age range for kids? A: Although any age can enjoy it, since there are small parts that might be rip off by small children, we would suggest at least 5-7 years. Q: What is the frequency of it? A: Its frequency is available in optional 27mhz or 40mhz. If you have specific requirement, please let us know. Q: Can two cars of the same frequency run and race at the same time? A: No. You can’t play two at the same time unless they’re of different frequencies (27mhz and 40mhz) and you have two controllers. The control is just for one particular car. You can race two together if you have separate car and control. Q: What batteries does it require? A: Car requires 5 x AA,while remote controller requires 1 x 9V. Please note that any batteries are NOT included.